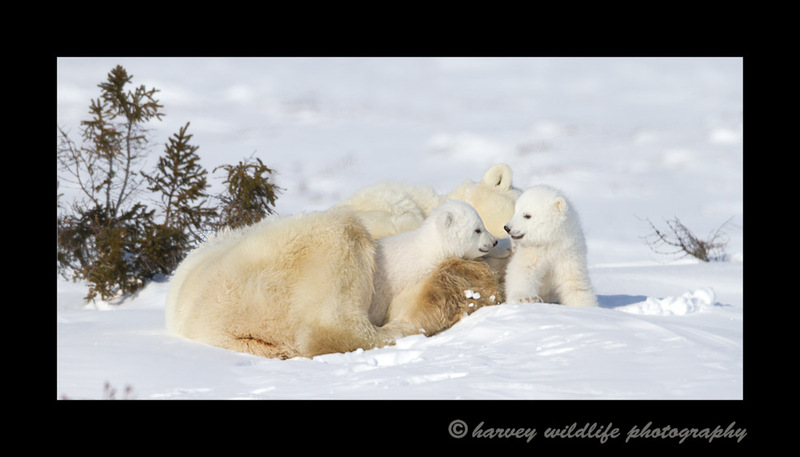 Civil Siblings: Polar Bear moms and cubs near Churchill, Canada. Polar bear cubs are usually either playing, fighting, sleeping or eating. These two cubs take a small break before tearing into one another again.